· Use your relationship as inspiration. Take time to think about special memories, vacations, local spots, hobbies or experiences that have made an impression on your relationship and incorporate them in a meaningful way. · Pick a location that will last. Where you propose is a big deal. Choose a place that has lasting qualities and isn’t today’s trendiest locale. How nice would it be to look back in 20 years and see that beautiful spot by the river instead of that once-chic restaurant now torn down? · Public or private. Some grooms-to-be like to do it big, but others know a small proposal is the way to go. Make sure your lovely lady won’t be overwhelmed by what you plan. If you fear a crowd may overshadow the purpose of your proposal, scale it back to just the two of you. · Be silly, but smart. It’s fun to do silly things like tie the ring to a pet’s collar or hide it in a cupcake, but try to think ahead so there aren’t any mishaps. The last thing you want is for the ring to fall off or the bride to swallow it in her frosting! · Secure a photographer. Whether it’s a sibling, friend or even a professional, having someone on-hand to capture this life-changing moment will be worth it! · Dress smart. The way you look matters. And therefore, make sure she looks and feels her best, too! · Create a decoy and keep the secret! To make sure all goes as expected, devising a secret plan she will agree to helps in executing the perfect proposal. Employing the assistance of a close friend could also help keep things on track. Otherwise, keep it a secret. · Share the news! After she says “yes,” make sure you bask in the moment and then celebrate by telling your family and friends. Above all, remember all proposals are special and if something goes wrong, it’s okay! 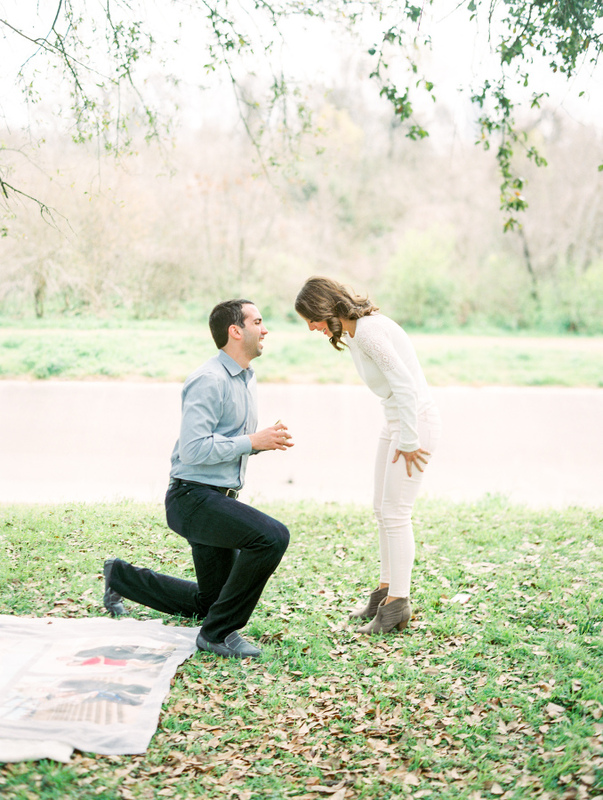 If she says “yes,” and has a smile on her face, then your proposal was a success. And that is truly all you need to make it perfect.